Looking for free software to convert Olm to Pst, here’s the article that might leave you disappointed, but will give you a glimpse of truth. Proceed with caution. Developing for email migration is a complex job that requires work. If you found a freeware, it is either selling something or not a useful piece of software you should use. Now free tools are not always bad. Suppose they are clean with no malware and such, are they of any use? Yes. In cases where you have one or two folders to convert. The free tools are usually not built to deal with big databases or complex data that contain various forms of data types. But they might do fine with few emails and folders. Anything more than, you will be fine by avoiding them. And there is yet another solution if all you want to do is convert few emails. It’s even better than installing a third party software, free or otherwise. It involves an email account with IMAP support. You simply sync the data from Mac Outlook to that account’s server, and then sync it back from that server to Windows Outlook client. However, both freeware and the above manual solution are only suited for couple of emails or folders that need migrating. Moreover, there is always a risk involved even with minor migration projects, the most prominent among which is the incomplete migration and data corruption. Thus, if you want to migrate your data, choose a professional tool. Converting Olm to Pst using a freeware can backfire. Badly. You can buy a professional software. There are plenty. These software require you to manually archive data to an Olm file, load that file to the tool, and you are good to go. There are few problems with these paid solutions as well. Such as their hard to use interface, data corruption, lack of speed, etc. But they are still much better than free software to converting Olm to Pst. Having said that, what if I told you there is another path to conversion that is substantially much much quicker, safer, easier, and more accurate? Yes, converting Olm to Pst free, and even by paid tools is not desirable anymore. This new approach takes use of the modern data conversion logic, ensuring efficiency far greater than previously achieved. It also presents the graphical interface that is much more intuitive. And the most important thing, it’s being offered by a leading, reliable company – Gladwev Software. It’s called “Olm to Pst Converter Ultimate”. It allows users to convert Olm files to Pst, but that’s a secondary approach for those who might need it. It’s biggest quality is that it doesn’t need Olm files to export data to Pst files. The tool is built to auto-detect the identity folder of Mac Outlook where data is stored. And that’s how it make the process more easier, intuitive, and precise. Since it eliminates the step for data archiving to Olm files, during which there were always chances for data corruption. So now, not only you get a quicker system, but also which results in no integrity loss. 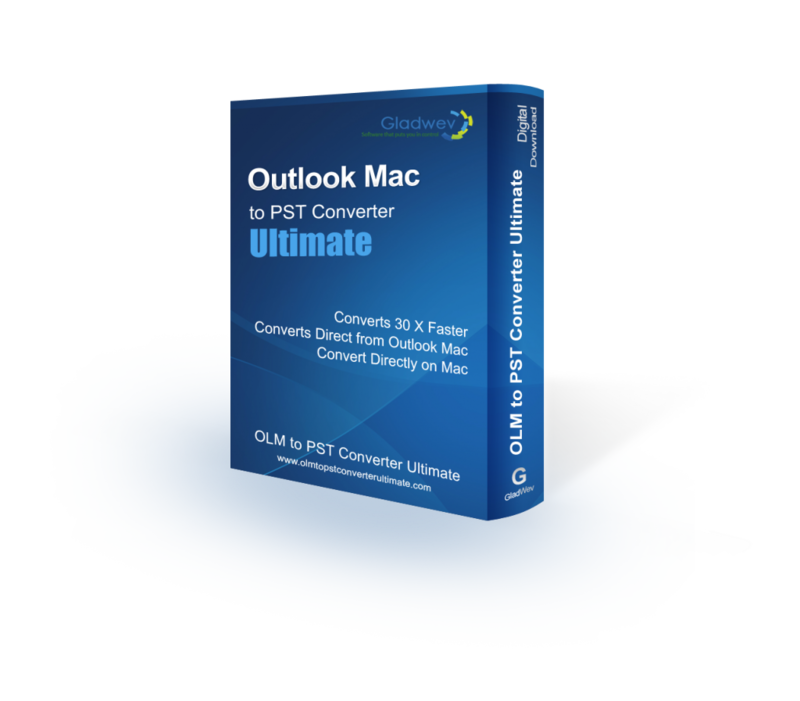 This section will let you know the difference between when you compromise by using free software to convert Olm to Pst and when you choose a professional tool “Olm to Pst Converter Ultimate”. Emails With Graphical data – converting Olm to Pst with a freeware almost has a guaranteed loss of graphical data. Any graphical objects that are inside your email bodies will either be lost completely or will get defected. Even paid Olm to pst Converters sometimes fail to do this right.With ‘Ultimate‘ reassuringly takes care of every graphical objects in your emails, converts them to Pst files without damage. Files Attached With Emails – For some users, the real use of emails is sharing files. Although many cloud services these days that have made file sharing more efficient, conventional email attachments still have its place and will always be.Sadly during Conversion of Olm to Pst with free tools, users lose these attachments many times. They fail to extract the entire data with the usual email text and the files that’s attached with it.’Ultimate‘ holds clever data conversion algorithms that keeps the attachments secure in their place when converting files. Not only does it save the attachments, it also makes sure they are not “dislocated” from their source emails, which happens very frequently with ordinary software. Emails with Non-English Content – Similar is the case with non-English text. Freely available software are not extensive enough to tackle the text encoded differently than English language. It’s challenging to extract text from Olm files that’s not in English and then have it converted to Pst files without loss.“Ultimate” handles this smartly. It deals with all the Unicode content and even creates Pst files in Unicode, preserving every text and characters from Mac Outlook database. Things That Free Software to convert Olm to Pst Will Never Do! If somehow you managed to convert your Olm to pst files with free tools, there are still few things that are necessary to have during conversion which they will never provide. Email Migration is a complicated job. There are many things that can go wrong. And these “things” can only be seen in hindsight. Free tools never have any abilities to control them or give you settings and options to do things in a way that’s necessary. To put it bluntly, all they do is take Olm files and convert them to Pst in a primitive, uncontrolled manner. There are no settings that you can tweak to make the migration fit for your custom needs. “Use what’s given exactly as it is given”. Express and Custom Mode – At the beginning of this article, it was said that ‘Ultimate‘ can load your identity folder directly. That’s the ‘Express’ mode. With ‘Custom’ mode, a user can also load Olm files from any location, if required. He or she can also load a complete identity folder from any location. Not just free, but even paid tools don’t have the flexibility to load your data in so many ways. Limit Pst size – While converting Olm to Pst using freeware, if the Olm file is large, it’s certain that the output Pst file will be large too. “Why does that matter”, you ask? Because Windows Outlook will give you a hard time importing a large Pst file. ‘Ultimate‘ cleverly sidestep this dodge by allowing you to limit the size of Pst file. If Olm file is large, the tool automatically takes care of the data by creating multiple Pst files as required. Ignore Folders – As said above, freeware for Olm to Pst Conversion, essentially do nothing but turn Olm to Pst files in a primitive rigid manner. You don’t have a lot of choice, such as not converting selective folders, or ignoring empty folders automatically. These tiny features may not sound significant, but during the actual use, and specially in case of large databases, you will realize how important they are. With ‘Ultimate‘ you get to manually select or disallow folders, as opposed to full database conversion without a choice. Furthermore, you can also ignore all empty folders using a single click. 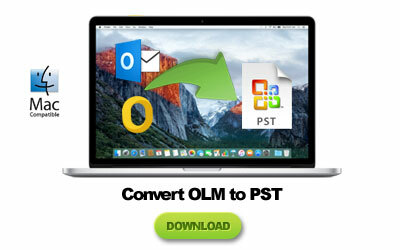 Convert Olm to Pst Free – As a Trial! If you still looking for a free software to convert Olm to Pst, go for it only if there are no more than two folders and hundred emails. Otherwise I would always recommend against it. You can try ‘Ultimate’ as a free trial version to check out its features and the performance from the ‘download’ link below. All the features that I mentioned above in the article are available in the trial version, the only thing that’s limited is that only 10 items inside each folder will convert to Pst files. You can unlock to unlimited version anytime by choosing one of the paid licenses.